The purpose of the SoACE Research Fellowship is to promote and support research and study projects that will further the stated professional purposes of SoACE and its members. One fellowship will be awarded up to $1,500. For more information, including research fellowship criteria, please reference the overview listed below. 2019 scholarship applications will open Tuesday, January 8, 2019. Applications must be received via email by Friday, March 1, 2019. 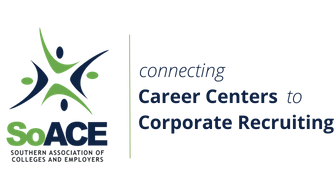 SoACE is offering three scholarships to our career services professional and employer members. Two scholarships will provide a maximum of $2000 to be used for a professional development program, event, resources, or certification toward a related activity of your choice. One scholarship will provide a maximum of $1000 to be used for the SoACE Employer Relations Summit. The scholarships will be awarded in May of each year and must be used by April 1 of the following year. For more information, including scholarship criteria, please reference the overview listed below.